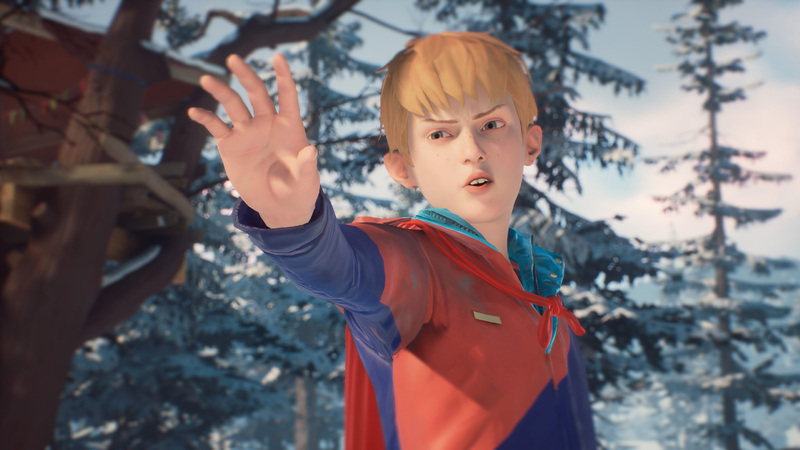 The Awesome Adventures of Captain Spirit is a stand-alone adventure developed by Life is Strange creators DONTNOD Entertainment, set for release as a free title on PC, PS4, and Xbox One on 25 June. Set in the Life is Strange universe, this roughly two hour narrative game follows young protagonist Chris and his adventures as Captain Spirit, a fictional superhero of his own creation that helps him battle his sometimes harsh reality. The game was recently announced at E3 2018’s Microsoft press conference (where it also managed to snag the Best of Show award), with some extra information dropped in the days that followed in various interviews and a brief gameplay demo. 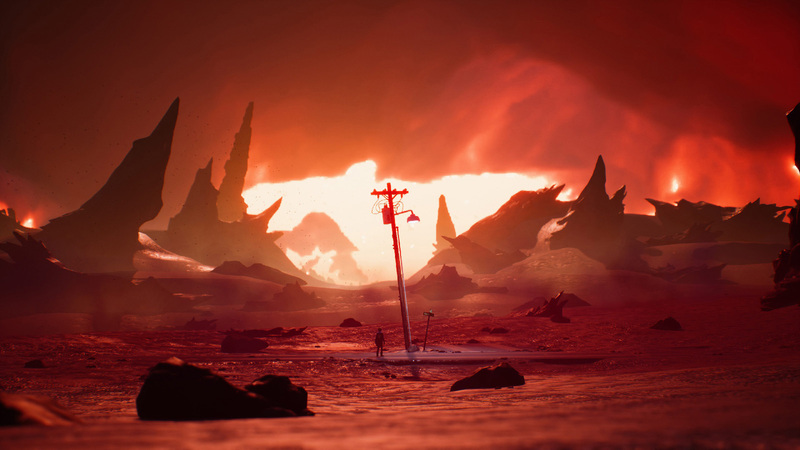 The game is brought to us by the same team behind Life is Strange with returning directors Michel Koch and Raoul Barbet, and writer Jean-Luc Cano. 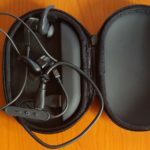 Here’s a roundup of everything we know thus far. As mentioned, players will take on the role of 10-year-old Chris, a young loner who uses his own imagination to deal with the struggles of his daily life. In this fantasy world, Chris takes on the persona of Captain Spirit, a powerful superhero that must battle a series of villains such as Snowmancer and his “arch-nemesis Mantroid” with the help of imaginary allies like Sky Pirate and his flying fortress (the treehouse in the garden). But beneath the colourful world of his imagination there lies a darker world, one where his mom has recently passed away causing his father to turn to alcohol in an attempt to find solace from the grief. It looks like the game will mainly explore Chris and his father’s relationship and how he deals with the loss of his mother. For instance, one will be often be faced with decisions that will either lean towards Chris facing his reality or retreating to his imagination, decisions that could also affect the relationship between him and his dad, and the game’s overall playthrough. There also seems to be other themes at play such as Chris’ struggle to fit in, with him saying things in the gameplay demo like “I always get picked last for the team” and “they never throw the ball at me”, to which his father replies “but they can’t tell stories like you”, making me think that at least he seems like a good man. Another interesting point that DONTNOD often mentioned in their E3 interviews is that the game’s narrative is heavily inspired by Surfjan Stevens’ “Death With Dignity”, the same song that accompanies the announcement trailer shown at E3. In fact, the song is so interlinked with the game that “Surfjan Stevens’ personal story parallels Chris’ story”, DONTNOD’s Raoul Barbet told Eurogamer in an interview. The title of the Surfjan Stevens song refers to the Death with Diginity Act put in motion in 1997 that now allows terminal patients in Oregon the right to voluntary and legally end their own lives by lethal injection. How much this theme or Stevens’ actual childhood actually influences this game is still uncertain at this point, but seeing as release date is just around the corner we’ll have to play the waiting just a little longer. The Awesome Adventures of Captain Spirit will be set in the Life is Strange universe and timeline, in another fictional Oregon town (the original being set in Arcadia Bay) called Beaver Creek. The game takes place three years after the events of Life is Strange and coincidentally (probably not though) is also being released three years after the original. According to DONTNOD game director Michel Koch, this title is “really the first entry point for the player into what Life is Strange 2 will be”, which could mean that Life is Strange 2 will also be set in Beaver Creek. Furthermore, the choices you will make in in this game will also have consequences in Life is Strange 2. With that being said, Koch did add that it isn’t necessary to play this title to fully enjoy their upcoming game or vice versa. The Awesome Adventures of Captain Spirit can be enjoyed as a standalone adventure. The Awesome Adventures of Captain Spirit, which Koch describes as a “small narrative sandbox”, will take place over the course of a single Saturday and, by the sound of it, will mostly be set in and around Chris’ home. But it does seem like the game’s world will considerably expand as Chris delves into his own vast imaginary world. The core gameplay looks very similar to previous Life is Strange titles in that you will be exploring your surroundings and interacting with various objects to gradually uncover and progress the narrative. Unlike the other titles though, it won’t feature multiple endings but, as mentioned before, it is important to note that the choices you make here will influence your experience in Life is Strange 2 (via your save file). Additionally, while the game will still feature staged cinematic cutscenes, DONTNOD says that this time around you will be able to move around your characters while in most conversations and keep exploring the world, an aspect previous Life is Strange titles lacked. Judging by what we’ve seen in the gameplay demo and E3 interviews, you will be able to customize your superhero outfit, such as choosing between a helmet and a mask, effectively allowing each player to have its own version of the eponymous Captain Spirit. According to the devs, the game can be completed in about two hours in a standard playthrough but, if you’re an avid Life is Strange fan like me, you can expect to spend a few extra hours of gameplay scrutinizing the world for any details DONTNOD have left for us eager seekers. The game seems to boast a slightly more innocent and childlike atmosphere (which is to be expected) with, as an example, interaction prompts now sporting bold colours instead of the blander white scribbles seen in the previous games. 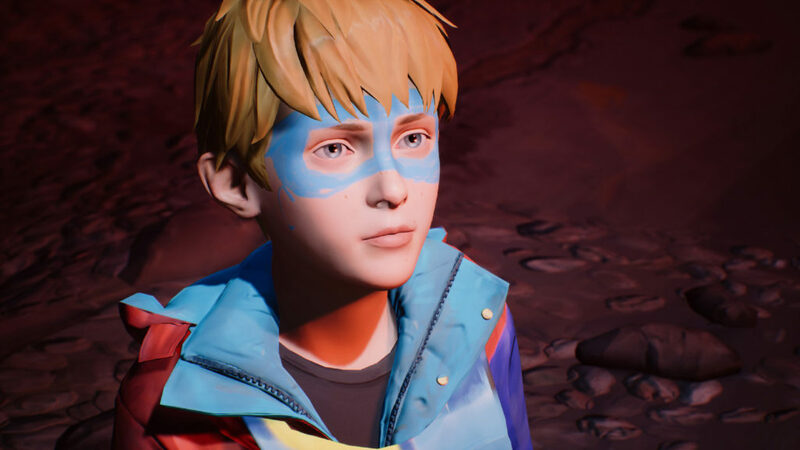 As mentioned before, The Awesome Adventures of Captain Spirit is set in the same universe and timeline as the Life is Strange series, boasting the same visual style accompanied by a heart-warming range of emotive indie jungles and will serve as a great starting point for those interested in the upcoming Life is Strange 2. According to DONTNOD, this title will have (in stark contrast to the devs’ name) loads of nods to the original Life is Strange and will also feature many hints and clues pertaining to the story of the upcoming title. 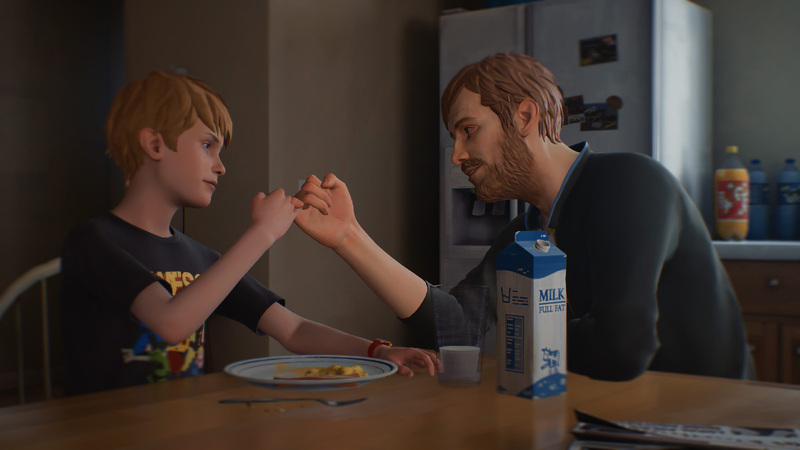 Interestingly, protagonist Chris was actually originally envisioned as part of Life is Strange 2 but the developers felt that his character deserved its own title and so The Awesome Adventures of Captain Spirit was born. Another connection to the Life is Strange series as seen in the gameplay demo, is a letter from Blackwell Academy (or more specifically Principal Wells) to Chris’ mother thanking her for her “continued support” of their art program. Whether she attended Blackwell or not is still up for debate but I, for one, am very intrigued how this title will connect with the greater Life is Strange series. The gameplay demo also showed an additional letter from Eugene State College (a real Oregon town but fictional college) that was written in response to Emily’s “withdrawal & resignation” from the college due to her “forthcoming child”. With this new title we will be seeing a considerable improvement in visuals thanks to DONTNOD’s use of Unreal Engine 4. The original was built on the Unreal Engine 3. While the game still retains the trademark hand-drawn Life is Strange visuals, facial animations and game physics will be a lot more life-like and we will see a dramatic enhancement in lighting as well. So what do you think? Are you excited for The Awesome Adventures of Captain Spirit or would you rather that DONTNOD get on with Life is Strange 2?